I could start this saying “I can’t believe it is the end of February already” or “Where did February go?” but I won’t. Because I want to say: Thank God it is finished and there is a new month coming! February was a great month full of amazing moments but March is going to be even better because in two weeks I am going home, to spend some time with my family! So.. wow! March is here! This last February was a month of great discoveries in the beauty department. As usual, I bought more beauty/skin care products than I should or needed but…it is for the blog? I absolutely love to experiment with new products and I did that this month. So I will share with you all the things that I love – sit back, grab a drink and enjoy the read. 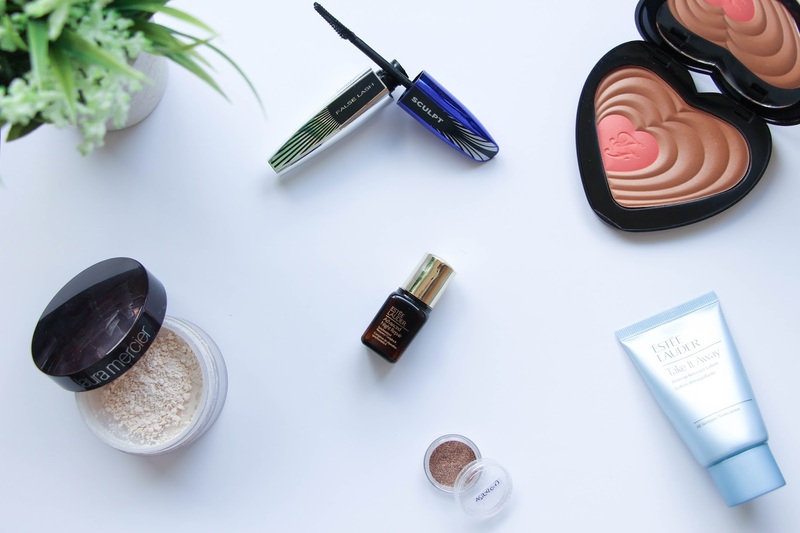 Although there is quite a few favourites this month, two of them are on my top list and they are…. drum roll…. Too Faced Soul Mates Blushing Bronzer in Carrie and Big | This is the most perfect duo I own. The bronzer is such a beautiful shade that does not look orange at all even on the palest skin. It has such a beautiful, natural glow that will make you fall in love for it. There is a beautiful shine to it that is only noticeable when the light hits it. 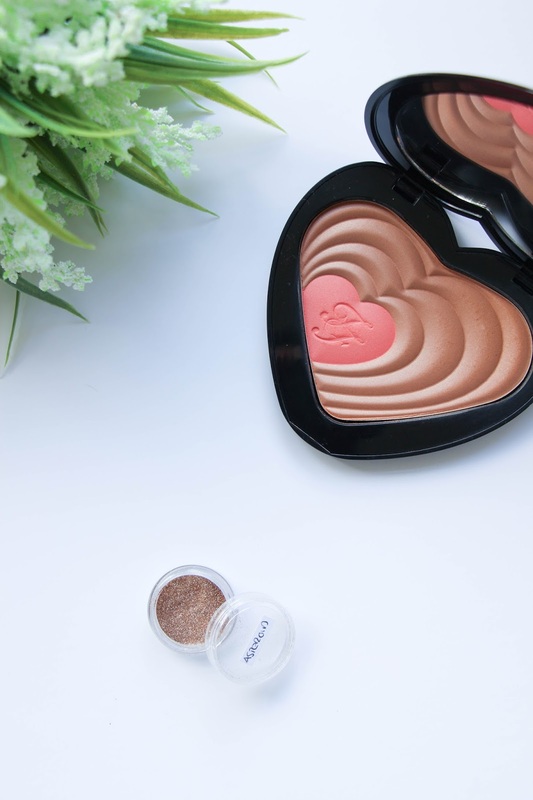 I am absolutely in love and it has been my go to bronzer and I now I will it the pan before the spring ends – or even before it starts? Makeup Geek Sparkler in Asteroid | If you follow me on social media, will probably know how much I wanted this sparkler and how much I loved it too. When I saw Makeup By Leyla ‘s Valentine’s Makeup Video I was completely in love with the whole look and I needed this sparkler in my life and now I have it. At the time I wanted, Beauty Bay didn’t stock it so I went over to ebay and found these little sample pots and I bought it. Pretty inexpensive and actually it lasts quite long because first, I don’t wear the sparklers everyday and second they are loose sparklers and so a little goes a long way. The Makeup Geek Sparkler in Asteroid is the perfect metallic gold sparkler anyone could ask for. I used it to do my Valentine’s Day Makeup (see photo here) and I absolutely loved it! Laura Mercier Loose Powder in Translucent | I already wrote a review about this product here on the blog so, in reality, there is not much to add to it. It is a perfect setting and brightening powder. For a more in depth opinion you just have to read my review here. 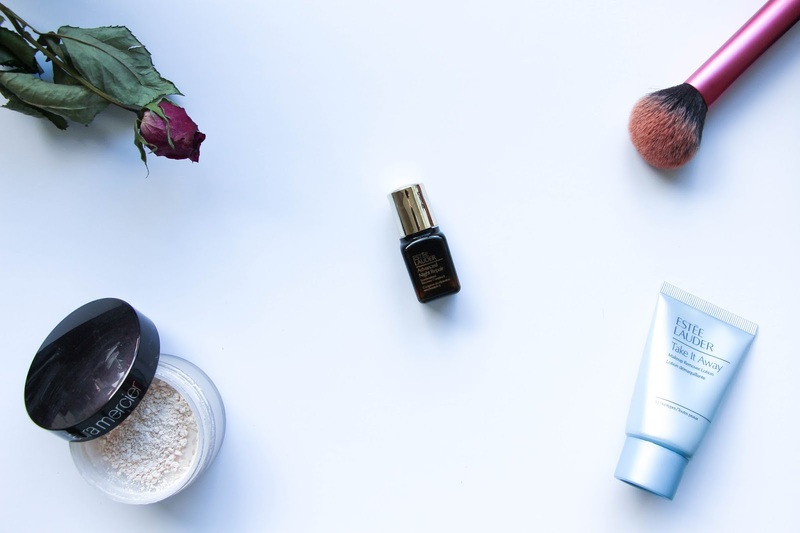 Estée Lauder Advanced Night Repair | I have never in my life tried any Estée Lauder products until now. The two I will be talking about are size samples offered to me by a friend. This little bottle of Advanced Night Repair is so, so good that it is even making me thing about spending £50 in a full bottle (but maybe not just yet). This is a serum that you should apply at night before going to bed and it claims to reduce significantly the appearance of line and wrinkles. “Skin feels smoother, hydrated, stronger“. I know I don’t have any wrinkles (yet) but lines are a problem and I did notice a slightly difference when I used this product. But the thing that really surprised me the most is how smooth and firm your skin feels the morning after. I absolutely loved that feeling. I have run out of this now and I am just saving my pennies to buy a full one. Estée Lauder Makeup Remover Lotion | Again, a simple size given by a friend and oh, how I love this product! It smells so, so nice and it removes my makeup in a blink of an eye. It is also good to remove waterproof makeup and who does not love that?! My night time skin care routine was reduced to half of its time because of this product. It retails for £22, which I think it is a very good price for the quality of the product. And also, I am sure the full bottle will last for ages as you don’t need a lot of product to remove your makeup. You should apply the product to your dry skin in circular motions and you will see your makeup just coming off easily. I them rinse my face with warm water remove all the excess with a damp face cloth. Love this! L’óreal False Lash Sculpt | Having small lashes like I do, I am always looking for the perfect mascara that separates and gives length to my lashes. This is still not the perfect one my I am well impressed with it. It gives me quite a natural look with elongated and separated lashes. I also curl my lashes after applying the mascara and I know, I know that I shouldn’t! But I have flat lashes and this is my little trick. I am always very careful while doing it because I don’t want to loose my lashes but it does work quite well. This is a great mascara for an everyday use as it gives you that extra length while keeping it very natural. Have you ever tried it before?